The Accreditation Council for Continuing Medical Education (ACCME®) Board of Directors is pleased to announce that it has chosen Graham T. McMahon, MD, MMSc, as the new President and CEO. Dr. McMahon begins his tenure in April 2015, following the retirement of Murray Kopelow, MD, MS(Comm), the current President and CEO. Dr. Kopelow will continue to lead the ACCME during the transition period and will work with the Board of Directors and Dr. McMahon until July 31, 2015, to ensure a smooth leadership transition process. At the time of his retirement, Dr. Kopelow will have completed more than 30 years of exemplary service to the CME community, with 20 of those years spent as the ACCME’s Chief Executive. He leaves the ACCME in a healthy financial position, with an energetic, creative, and dedicated staff. During his tenure, the ACCME and accredited continuing medical education have grown in stature, importance, and relevance. 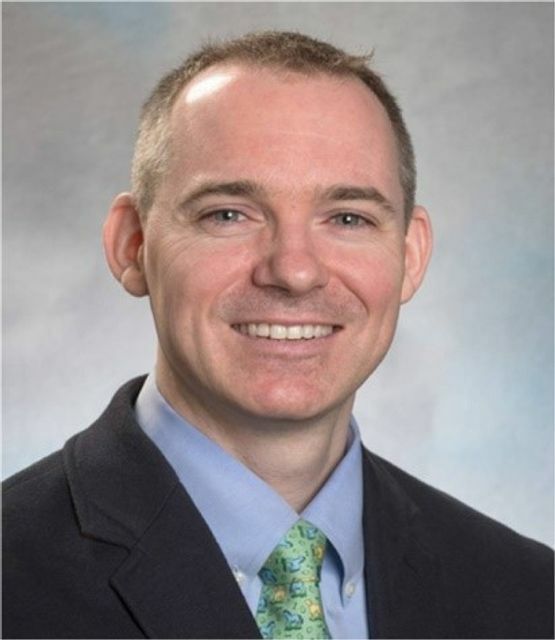 A medical educator, researcher, and practicing endocrinologist, Dr. McMahon joins the ACCME from Harvard Medical School, where he serves as Associate Dean for Continuing Education and Associate Professor of Medicine. He teaches extensively at Harvard Medical School and at Brigham and Women’s Hospital in Boston, serves as Editor for Medical Education at the New England Journal of Medicine, and as Executive Editor for the NEJM Knowledge+ program. A native of Dublin, Ireland, Dr. McMahon earned his medical degree from the Royal College of Surgeons in Ireland, where he also received a doctoral degree in medical education from the National University of Ireland. He is board certified in internal medicine; and endocrinology, diabetes, and metabolism. He earned a Master of Medical Science in Clinical Research from Harvard Medical School. Since the beginning of his career, Dr. McMahon has been committed to elevating the role of education in improving physician competence and patient care. His work focuses on using educational innovation and technology to enhance teaching, learning, and behavior change. An educator for more than 15 years, he has extensive teaching and mentoring experience and has developed educational policy at both the local and national level. He has volunteered on a range of national and international medical education committees, including serving on the Executive Board of the National Board of Medical Examiners. Dr. McMahon has served as faculty for regional, national, and international CME activities. He has published numerous articles in peer-reviewed journals, including reports on education research. Throughout his many endeavors, Dr. McMahon has maintained his focus on utilizing education to support healthcare professionals’ continuing professional development and to improve care for patients and their communities. He has authored educational materials for patients and the public and trained medical students to teach preventive medicine to children. His clinical research has examined how patients can be engaged in their care; he has worked to resolve health disparities in the gay, lesbian, bisexual, and transgender community; and he has educated international medical students about US medical training and career development. Dr. McMahon will be joined in Chicago by his husband and their two daughters. Dr. McMahon was chosen following a comprehensive search conducted by the ACCME Board of Directors, with the assistance of Park Square Executive Search. “After deliberative succession planning and an intensive, thoughtful search process, the ACCME Board of Directors is proud to announce that we unanimously chose Dr. McMahon as the President and CEO who will lead the ACCME in an ongoing trajectory of innovation and improvement. Through the search process, the Board sought a visionary and inspirational leader to expand and strengthen the role of accredited CME as a strategic resource to health improvement initiatives. We have found that leader in Dr. McMahon. He brings a deep understanding of—and unshakable belief in—the unique role of high-quality CME in improving patient care and the health of communities. In an era in which healthcare delivery, healthcare education, and systems for physician accountability are all undergoing fundamental transformation, Dr. McMahon has the vision, dedication, and expertise to contribute to shaping that transformation. We welcome him and look forward to working with him to set, communicate, and implement the ACCME’s vision and strategy for the future,” said Kim Edward LeBlanc, MD, PhD, Chair, Board of Directors, ACCME. “It is an extraordinary honor and privilege to be chosen as the next ACCME President and CEO. The ACCME, with Dr. Kopelow’s transformative leadership, has succeeded in positioning accredited CME as one of the key strategic assets in support of healthcare improvement in America. The ACCME accreditation system is recognized internationally as a model. I am proud to have the opportunity to build on this strong foundation and to work with the ACCME’s expert and committed staff and volunteers. I look forward to engagement with the ACCME community of member organizations, state medical societies, and accredited CME providers as well as with our colleague accreditors in the health professions and the multiple other stakeholders with whom we collaborate to improve healthcare. I have long believed in the power of accredited CME to effect real change in the lives of physicians, care teams, patients, and communities. During this transformative period in healthcare, I envision creating new opportunities for accredited CME to demonstrate that it is the vehicle for physician change and the currency for quality improvement,” said Graham T. McMahon, MD, MMSc, Incoming President and CEO, ACCME. “I could not be more pleased with the Board of Directors’ wise choice of Dr. McMahon as my successor. He brings the excitement, energy, and creativity that we need to successfully lead the ACCME into the future. I am impressed with his long-term dedication to education as a strategic resource for healthcare change and improvement. With his track record in innovative educational design and research and his forward thinking approaches, I am confident that he will position accredited CME to effectively meet the needs of emerging generations of healthcare professionals. He brings a deeply felt and wide-ranging commitment to improving healthcare—from his concern for individual patients and practitioners to his big picture ideas for addressing public health imperatives on the national and international level. I believe his leadership will inspire the accredited CME community to strive for even higher levels of achievement. I look forward to working with Dr. McMahon and the Board of Directors to facilitate a smooth and successful leadership transition,” said Murray Kopelow, MD, MS(Comm), ACCME President and CEO. The ACCME's mission is to identify, develop, and promote standards for quality CME that improves healthcare for patients and their communities. There are approximately 2,000 accredited CME providers within the ACCME accreditation system, whose activities educate more than 24 million healthcare practitioner participants annually.